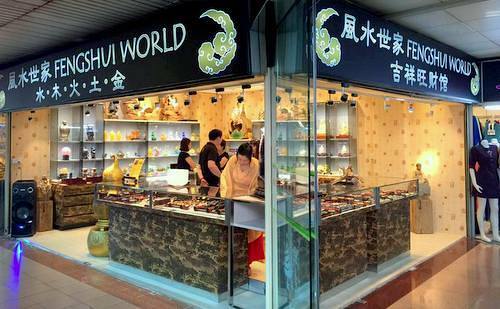 Fengshui consultancy and shop Fengshui World has eight locations in Singapore, including one within Bedok Mall (311 New Upper Changi Road). Fengshui World is a modern one-stop Feng Shui consultancy and Feng Shui shop for personal homes and offices & business premises. Their operations cover the retail / wholesale of auspicious artifacts and fine arts related to the Feng Shui practice. Aim of the Feng Shui practice – Fengshui practices and remedies – is to attain a well-balanced positive energy and smooth flow of “Qi” on both personal living and working spaces, as well as an optimally-conducive business-environment that maximizes money making opportunities. The official Facebook brand page for Fengshui World is available at www.facebook.com/Fengshui888. Following the Facebook page, you’ll receive information related to fengshui practice, Fengshui World’s events & promotions, and much more.